iMyFone D-Back is a data recovery program designed to help people recover data that has been lost or deleted from iOS devices. It is compatible with the iPhone, iPad and iPod touch. 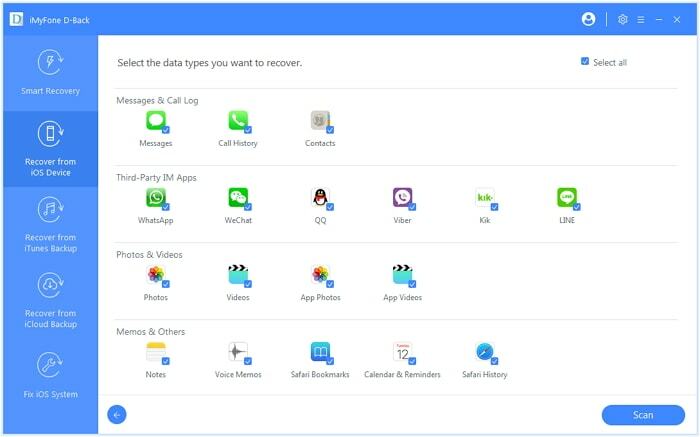 The program is capable of recovering a number of different types of data, including contacts, messages, notes, photos and even data from certain types of apps like WhatsApp, Viber, WeChat, Line and etc. One of the most common questions people have about iMyFone D-Back is: is iMyFone D-Back free? To answer this question, let’s take a closer look at this program and how you can even try it for free. 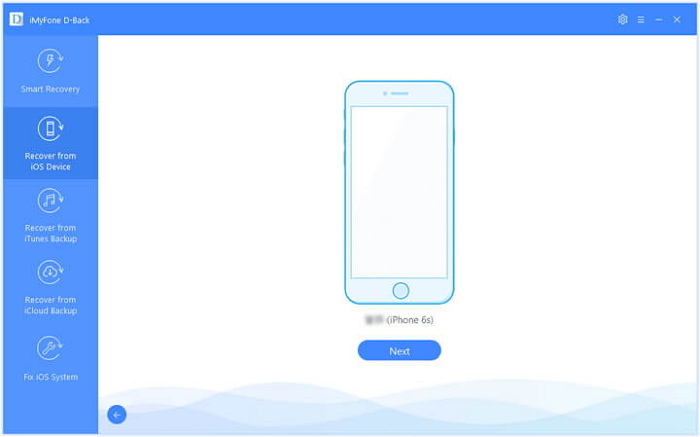 iMyFone D-Back will help you recover lost or deleted data from iPhone, iPad and more. It is an easy-to-use program which does not require any computer or technical skills for users, since it can be completed with a few clicks of a button. The short answer to the question “is iMyFone D-Back free?” is no, there is no 100% free version available in an unlimited capacity. There is, however, a way you can try out this great data recovery program on a totally free trial basis. iMyFone D-Back currently offers a free trial where you can test out the product to see how well it works for your needs. This free trial is limited and does not include all of the features from the full version, but it will give you a general idea of whether or not this is the right data recovery program for you. If you do purchase iMyFone D-Back, however, you will be given access to free updates as well as free customer support. There is no additional fee for either of these services when you purchase the data recovery program. The truth is, you won’t find any sort of free iPhone, iPad or other Apple product data recovery in today’s market. 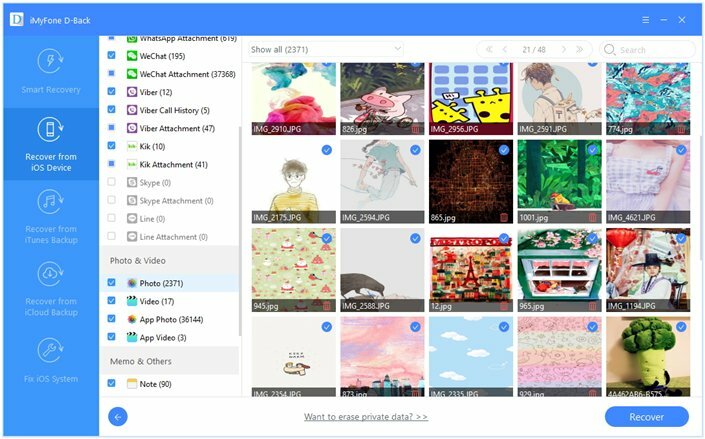 However, iMyFone D-Back is reasonably priced for the benefits you’ll receive, so this is an ideal option if you need an easy-to-use program for your deleted data. As it was mentioned, there is a difference between the trial version of iMyFone D-Back and the full version of the same program. These differences are fairly significant when you consider the benefits of the full program, which differs from the trial version. The primary difference between the purchased version of iMyFone D-Back and the trial version is that you are only allowed to see lost data in the trial version. In the full version, you can see the lost data, recover it. Generally, if the free trial version can find and preview the data you need, then probably the full version can recover them, also. That means what you can recover with full version is the same with what you can view with trial version. You might be wondering whether or not iMyFone D-Back differs all that greatly from storing your data in iTunes or in the iCloud. While the two mediums do share some similarities, the differences between these two types of services are distinct. If you are interested in using iMyFone D-Back but you don’t or can’t pay full price, then you’re in luck: there is a way you can get a coupon code which will give you a percentage off the iMyFone D-Back phone. If you want to know how to get a coupon code, read on to find out. There is a free 20% off coupon code at the iMyFone website which is designed to attract new customers with a great deal on their program. This coupon code can be applied to multiple types of licenses, including Basic Plan, Family Plan and Multi-User Plan. Step 2.Head to the Checkout Cart & Select "Check to enter coupon code"
Once you've added the program into your shopping cart, it's time actually pay and check out. Before you head for your virtual wallet, however, make sure that you input the coupon code on the appropriate space on the page. Once you're ready to finalize your purchase, fill in a contact form with your personal details. You will need to enter first name and last name, a valid email address, as well as information regarding the area you live in. iMyFone D-Back is relatively easy to use. Just follow these simple steps and your data will be recovered in no time. Step 1.First, launch iMyFone D-Back. Follow the instructions in the screen and you need connect your device to computer. Step 2.Next, select the type of data you need to start scanning. Step 3.After scanning, the recoverable data will be organized in lists. Preview and choose what you want to recover. If you are interested in having data from your iPhone, iPod touch or iPad recovered, then consider purchasing the iMyFone D-Back for its durable construction and reliability. Do not hesitate to try.